My progress through my ridiculous seminar report backlog now picks up in the summer of this year with none other than old acquaintance and collaborator Charles West, who on 6th May 2014 found himself in Birmingham addressing a new seminar of the Institute of German Studies, the Not the First World War Centenary Seminar, which was concentrating on alternative anniversaries to the one that we aren’t allowed to miss this year. Therefore Charles was brought in to address us on the topic, “Charlemagne and the Future of the European Past”. Now, as it happens, of recent years Charles has ventured onto the Internet himself along with a cadre of colleagues from Sheffield who contribute to their History Matters blog, which I recommend, and thus it is that you don’t have to take my word for it what Charles thinks about this issue, because he had already written something about it here. So I’ll be brief here and refer you over there if you want to debate things. The short and essential pitch of what Charles had to say is that Europe used to be a lot more fussed about Charlemagne as a figure of importance than it has now become. Whereas he was the point of origin for the Holy Roman Empire and the man whose achievement in bringing a swathe of Occidental territory under one rule both Napoleon and Hitler expressed an intent to beat, and even after the war still the figurehead of various prizes and speeches intended to foster European unity, this has fallen off of late. In this, the 12th centenary of his death, which has sparked a number of exhibitions and celebrations around the Continent, that at Aachen was expecting only a third as many people as attended a similar exhibition at Paderborn in 1999 (and I’ve no idea how many it in fact got). I have been hoarding interesting links during this period of backlog (at least since the last lot) and at some point I will deluge them upon your terminals, but for now there is one in particular I want to talk about. Long-term readers will know that I have a long-orbit bee in my bonnet about funding grants for developing digital resources that already exist. There seems to be no offender here more prolific than the idea that it would be great to establish a unified catalogue of medieval manuscripts on the Internet, despite the fact that there are so many of those that one of the most established of these portals has officially quit keeping up. This was the frame of mind in which I encountered – I no longer remember how – an Italian initiative called TRAME, Text and Manuscript Transmission of the Middle Ages in Europe, and stubbed this post. Inspection reveals that this is not quite the usual deal, in several ways. Firstly, it seems a much more cooperative and consensual a metacatalogue than one of the previous ones, which intended to scrape online content by aggressive querying (not how they put it, but still true) and present it through their own portal; on this one you as manuscript-holding institution have to opt in, and they encourage you so to do. 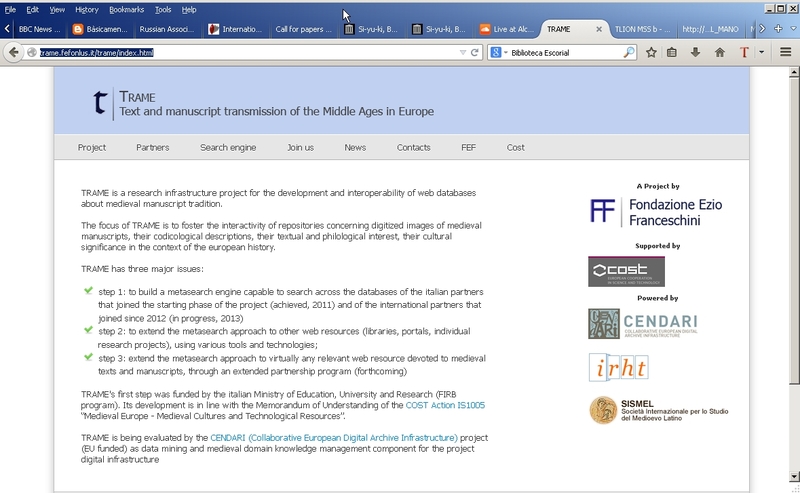 Secondly, it is collecting not actual digitised manuscripts but digitised catalogues of manuscripts. The first of these might be expected to limit their scope, though Italy seems to be good at these digital alliances. The second, however, greatly increases it: lots more such catalogues exist than do new manuscript digitisation efforts, so they are able, having mapped the incoming database to their own (a project in which I suspect I recognise the hands of the Università di Firenze), to present really quite a lot of data. On the other hand, because of the first that data is of quite varied quality and because of the second, ultimately all it is is a manuscript finding aid, not an actual repository. I did a very quick test case that illustrates the issues. Firstly, my Italian not being so great and me not having really read the instructions, I tried just the word «aprisio» in the search box, but it returned nothing, so I bethought myself of metadata not data and started plugging possible author names in. I was searching, you may guess, for things Catalan and the surprising thing is that I found some. Slightly more surprising to me was that some turned out to be at the Escorial library in Madrid, which I didn’t think had any manuscripts digitised, and this is about the point where I discovered that we are dealing only with catalogue entries. But I persevered because there is really only one manuscript about the Escorial I know anything about, Z.II.2, which is the judge Bonhom’s copy of the adapted Visigothic Law.1 It is there, but all you get is the shelf-mark, so, well, what use is this? It’s not as if asking the Escorial’s website gets you anything better, of course: its search engine breaks under the simplest query and if you poke far enough into their site you find what purports to be a download of their 1910 catalogue of Latin manuscripts that actually comrpises only the Prologue of its first volume.2 So there is probably less use TRAME could be, but it gets worse. Another example. Having with my first search established that there were manuscripts in this database from the Biblioteca de l’Universitat de Barcelona, I made it show me everything they had there, and this is revealing. Firstly it’s replicated between constituent databases a lot, some manuscripts appearing in several, but it’s the nature of those databases that makes me cross. For this search, lots comes from a resource called BISLAM, Bibliotheca Scriptorum Latinorum Medii Recentiorisque Aevi, which is available through the portal with which the whole effort apparently started, a subscription service called MIRAbile.3 And what that means is that all you can get from a given search in it is an entry like the below and an invitation to subscribe for more information. There are those of us who would call this spam, and I’m really quite surprised that they got public funding thus to funnel people to their own pay-site. This seems to be the model of all the databases they connect, in fact. And since one of those databases, MSS-b, appears to be a citation index for manuscripts that, unless you have a subscription to that, gives you only single citations of manuscripts in scholarly literature but neither a verified shelfmark for the manuscript nor any part of the relevant scholarly publication. Again, what use is this? I would submit, not a whole lot. In fact, unless you really need to know a selection of odd mentions of the manuscript you work on and have a research library of international calibre to find them in, the only real use I can see for TRAME is to funnel your money towards their electronic subscription services. Presumably it’s this proud use of public money that means that the ‘costs’ page just links out to a parent body’s homepage and that there has been no news on this project’s website for nearly two years. I’m surprised and disappointed to find that one of their partners is the Institut de Recherche et d’Histoire des Textes, and rather sorry to find any universities involved with it at all. May it have made no-one rich! 1. Text printed as Jesús Alturo i Perucho, Joan Bellès, Josep M. Font Rius, Yolanda García & Anscari Mundó (edd. ), Liber iudicum popularis. Ordenat pel jutge Bonsom de Barcelona (Barcelona 2003), and online for free here, but I’d still like to be able to virtually see the manuscript. 2. P. Guillermo Antolín (ed. ), Catálogo de los códices latinos de la Real Biblioteca de l’Escorial (Madrid 1910), 5 vols. 3. Roberto Gamberini (ed. ), BISLAM. Bibliotheca Scriptorum Latinorum Medii Recentiorisque Aevi. Repertory of Mediaeval and Renaissance Latin Authors (Firenze 2003-2010), 3 vols & CD-ROM, which I’m sure is a very useful thing in its way but not free. The cathedral of Sant Pere de Vic, from the Riu Gurri, where with a rather different and presumably smaller building on site this all took place. By Enfo (Own work) [CC-BY-SA-3.0], via Wikimedia Commons. Of course this doesn’t take away Salrach’s point. If the recall (which sometimes goes well beyond the likely: we have the name of one of the Muslim governors operating in Catalonia before the Muslim conquest from one of the Cuixà document replacements, whose forty-year-old original had apparently recorded a century of tenure history!6) is to be accepted, it needs explaining; here is a perfectly good explanation, even if it probably isn’t what actually happened here. So when would this hypothetical reading have taken place? There is a contention made by people who work on monastic cartularies that these, functioning as memorials of donors, would have been read out on solemn occasions in the monastery, such as particular feast days, and the same could just about be true of secular churches, if they picked a day when a good crowd would be there.7 But should we imagine similar opportunities being taken in the lay world? There would be no fixed points of the calendar outwith the liturgy for the lay population, so the occasion would have to be generated, either by the agricultural year or by one-off events, which it seems odd to picture being co-opted for this purpose. Everyone’s here for the wedding or whatever, let’s quickly get the charters out and run through ’em? And who could run through formulaic Latin documents for such an audience anyway? There is, most likely, an evidentially silent practice of public land-speaking here that these procedures imply, but do not prove. The case is not made by Salrach, but it seems to me that the combination of these various cases does make it stronger. I would have liked more from him on this! 1. J. M. Salrach, Justícia i poder a Catalunya abans de l’any mil, Referències 55 (Vic 2013). 2. Jeffrey Bowman, Shifting Landmarks: property, proof and dispute in Catalonia around the year 1000 (Ithaca 2004), pp. 151-161. 3. Salrach, Justícia i poder, p. 195, referring to Pierre Ponsich (ed. ), Catalunya Carolíngia VI: els comtats de Rosselló, Conflent, Vallespir i Fenollet, rev. Ramon Ordeig i Mata, Memòries de la Secció històrico-arqueològica LXX (Barcelona 2006), 2 vols, doc. no. 121. 4. The two documents from the hearing are edited as Ramon Ordeig i Mata (ed. ), Catalunya Carolíngia: els comtats d’Osona i Manresa, Memòries de la Secció Històrico-Arqueològica LIII (Barcelona 1999), 3 vols, doc. nos 33 & 34, the latter here quoted in my translation. The cataloguic property listings are discussed by Michel Zimmermann, Écrire et lire en Catalogne (IXe-XIIe siècle), Bibliothèque de la Casa de Velázquez 23 (Madrid 2003), 2 vols, I pp. 208-217. 5. J. Jarrett, “Pathways of Power in late-Carolingian Catalonia”, unpublished Ph. D. thesis (University of London 2005), online here, pp. 49-53. 6. Salrach, Justícia i poder, 195, without further reference, but the document is Ponsich, Catalunya Carolíngia VI, doc. no. 120, with the actual content here referred to printed as its own entry as no. 23. 7. Patrick Geary, “Entre gestion et gesta” in Olivier Guyotjeannin, Laurent Morelle & Michel Parisse (edd. ), Les Cartulaires : Actes de la Table Ronde organisée par l’École Nationale des Chartes et le G. D. R. 121 du C. N. R. S. (Paris, 5-7 décembre 1991), Mémoires et Documents de l’École des Chartes 39 (Paris 1993), pp. 13-26; see also Geary, “Land, Language and Memory in Europe 700-1100” in Transactions of the Royal Historical Society 6th Series Vol. 9 (Cambridge 1999), pp. 169-184. Starting work at the Barber Institute in August meant learning to work in and outside of office hours again, and I’m still rebalancing my routine. It has also meant an even longer to-do list, not least since I am also still doing some teaching for History at Birmingham on my spare day. There are long and difficult jobs connected with the electronic catalogue of the coins and the numismatic library, as well as more immediate ones connected with the next exhibition. But it has also meant a bunch of exciting new research projects! In some ways this should have been expected, and indeed I came into the job with one particular problem I wanted to use the coin collection to address, which I’ll tell you about when I’m slightly further along. But in the meantime, we are about to start something quite big and I wanted to announce it. The project name is “All that Glitters: the Byzantine solidus 307-1092″, and it aims to carry out non-destructive scientific testing of the metal composition of the Byzantine gold coinage over that period, up to 300 coins in all depending on results. “The Byzantine Empire, which evolved from the eastern Roman Empire, issued coinage continuously for more than a thousand years. The gold solidus, a coin of 4·5 g and a notional 95-97% purity, was the backbone of this system from the reign of Emperor Constantine I (306-37) to the eleventh century, though it was debased steadily from the tenth century until its replacement in a coinage reform in 1092. Before that time, the reputation of the solidus was near-legendary and it has remained so in scholarship.” In fact, however, we have limited evidence as to the precise purity or composition of the early coinage prior to debasement. Earlier metallurgical studies of Byzantine gold coinages concentrated mainly on the later period, and used the most sophisticated equipment available in the 1980s and 1990s. Recent developments in X-Ray Flourescence technology, in which Bruker Industries Ltd. have been at the forefront, now make it possible to evaluate non-destructively the composition of metal alloys with far greater sensitivity to a range of trace elements, and the ability to quantify very small changes in the proportions of different metals in an alloy and in detecting and identifying even minute quantities of trace elements. “These newly developed techniques have not, however, been applied to Byzantine gold coinage and the time is therefore ripe for a project which could not only offer new data on the Byzantine monetary economy but also explore the possibilities of XRF testing, and set standards of analysis for other currencies and precious-metal objects. The references above decode as John Haldon, Byzantium in the Seventh Century (Cambridge 1990); Chris Wickham, Framing the Early Middle Ages: Europe and the Mediterranean 400-800 (Oxford 2005); and Leslie Brubaker & John Haldon, Byzantium in the Iconoclast Era c. 680-850: a history (Cambridge 2011). To those I should add the essential starting point for the scientific study of Byzantine coinage till now, Cécile Morrisson, C. Brenot, J. N. Barrandon, J. P. Callu, J. Poirier & R. Halleux, L’or monnayé I : Purification et altérations de Rome à Byzance (Paris 1985). Tagged All That Glitters, Barber Institute, Rebecca Darley, Robert Bracey, science! Long-term readers will know that one of the things that concerns me in my researches is why we come to have the documents that we have. If we remember that almost all documents of the early Middle Ages that we have survive via Church archives, we have a perpetual issue about whether we have any means to get at what laymen did between themselves by way of property transfer, management and all the other things I talk about, or whether we’re stuck with the Church’s-eye view of the era. In some areas, and Catalonia is perhaps the most important of these cases, we have plenty of documents which are solely lay transactions but still surviving via a Church archive, so the problem is less bad but we could still use knowing who selected the documentation and what else there might have been out there. A genuine lay transaction in a Church archive, Vic, Arxiu Capitular, Calaix 6 no. 554 in which Sabrosa sold some land in Folgueroles to two couples in 915 (edited as Ramon Ordeig i Mata (ed. ), Catalunya Carolíngia IV: els comtats d’Osona i Manresa (Barcelona 1999), 3 vols, doc. no. 142). Saint-Michel de Cuxa, as it now is. By Babsy (Own work) [GFDL or CC-BY-3.0], via Wikimedia Commons. And they went on to give abstracts of four charters, usually including the scribes’ name and always the date, and all were in favour not of the monastery but of the count.8 One of them was in fact a transaction in which the monastery-as-was had sold the property in question to him!9 (Another was a court case which his representative Sesnan, whom we met last post but one, actually won.10) Nonetheless, it was Abbot Baró and Protasi who had called for the ceremony and provided the witnesses, and the count was not present, the hearing unusually being chaired only by a group of seven judges. 1. Simon D. Keynes, “Royal government and the written word in late Anglo-Saxon England” in Rosamond McKitterick (ed. ), The Uses of Literacy in Early Mediaeval Europe (Cambridge 1990), pp. 226-257; Patrick J. Geary, Phantoms of Remembrance: remembering and forgetting in the tenth and eleventh centuries (Princeton 1994). 2. Barcelona, Urgell and Vic cathedrals all have Libri of some status in which some of their documents were copied as well as sheafs of originals, but Girona cathedral and several monasteries (Poblet springs to mind) only have cartularies and some places have lost even those (Elna most obviously). 3. Janet L. Nelson, “Dispute Settlement in Carolingian West Francia” in Wendy Davies & Paul Fouracre (edd. ), The Settlement of Disputes in Early Medieval Europe (Cambridge 1986), pp. 46-63 at pp. 53-55, Adam J. Kosto, “Laymen, Clerics and Documentary Practices in the Early Middle Ages: the example of Catalonia” in Speculum Vol. 80 (Cambridge MA 2005), pp. 44-74 and Matthew Innes, “Practices of Property in the Carolingian Empire” in Jennifer R. Davies & Michael McCormick (edd. ), The Long Morning of Early Medieval Europe: new directions in early medieval studies (Aldershot 2008), pp. 247-266, for lay dossiers; Warren Brown, “When documents are destroyed or lost: lay people and archives in the early Middle Ages” in Early Medieval Europe Vol. 11 (Oxford 2002), pp. 337-366 at pp. 351-354 for the alternative. 4. Idem, Marios Costambeys, Innes & Kosto (edd. 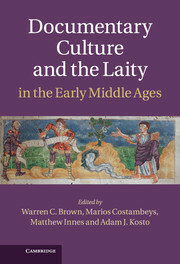 ), Documentary Culture and the Laity in the Early Middle Ages (Cambridge 2013); here see esp. eidem, “Conclusion”, pp. 363-376. 5. Salrach, Justícia i poder a Catalunya abans de l’any mil, Referències 55 (Vic 2013), here pp. 194-198. 6. Jeffrey Bowman, Shifting Landmarks: property, proof and dispute in Catalonia around the year 1000 (Ithaca 2004), pp. 152-156; for more detail see Ramon d’Abadal i de Vinyals, “Com neix i creix un gran monestir pirinenc abans de l’any mil: Eixalada-Cuixà” in Analecta Montserratensia Vol. 8 (Montserrat 1955), pp. 125-337, repr. in idem, Dels Visigots als Catalans, ed. Jaume Sobrequés i Callicó, Estudis i Documents XIII & XIV (Barcelona 1969, repr. 1974 & 1989), 2 vols, I pp. 377-484 without documentary appendix. 7. 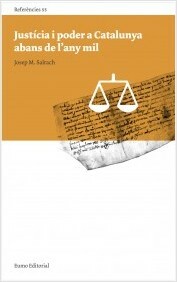 The classic discussion is José Rius Serra, “Reparatio Scriptura” in Anuario de Historia del Derecho Español Vol. 5 (Madrid 1928), pp. 246-253; cf. Bowman, Shifting Landmarks, pp. 151-161, who is sceptical about its possible accuracy. 11. It might, admittedly, be because actually the other documents survived; Ramon d’Abadal i de Vinyals (ed. ), Catalunya Carolíngia I: els diplomes carolingis a Catalunya, Memòries de la Secció històrico-arqueològica 2 & 3 or 75 (Barcelona 1926-1952, repr. 2009), I pp. 80-88, thought that the precept must be that that survived into the seventeenth century to be copied and thence edited by him as ibid. Cuixà I, but that text doesn’t mention Miró at all and it’s not clear why he should ever have held it. I think the precept mentioned here was probably Miró’s own.